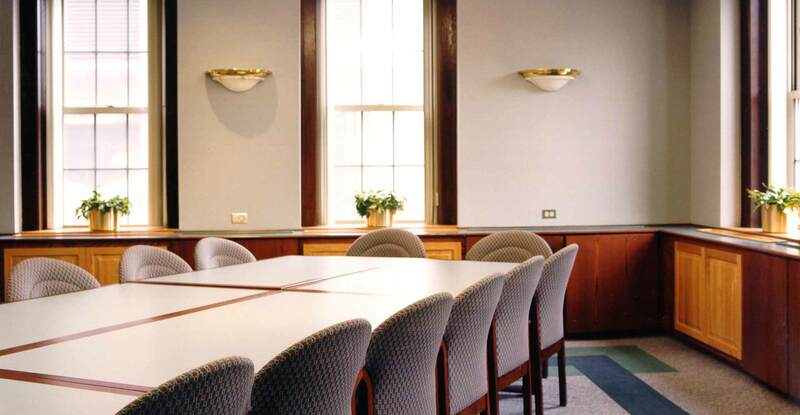 The Selina Lewis Board Room at the Hospital of Saint Raphael in New Haven is within a turn-of-the-century building that was originally the hospital’s School of Nursing. 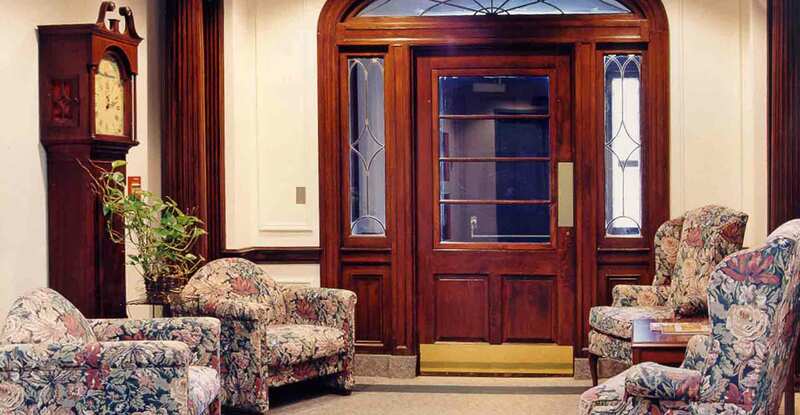 Our renovation project involved complete refinishing of the room, both inside and out. The room is fully equipped with slide projector, white board, A/V equipment and motorized projection screen in order to function as both a meeting room and seminar facility. Other work in the building included several smaller classrooms and a large multipurpose room.